When Martine LeDuc, publicity director for the city of Montreal, is summoned into the mayor's office, she's pleasantly surprised to find the city is due for a PR coup: A doctoral researcher at McGill University claims to have found proof that the British crown jewels were stored in Montreal during World War II. Martine is thrilled to be part of the excavation project--until it turns out that the dig's discoveries include the skeleton of a man with diamonds in his rib cage and a hole in his skull. Is this decades-old murder leading her too far into the dangerous world of Canada's neo-Nazi networks, or is there something going on that makes the jewels themselves deadly? Is history ever really completely buried? 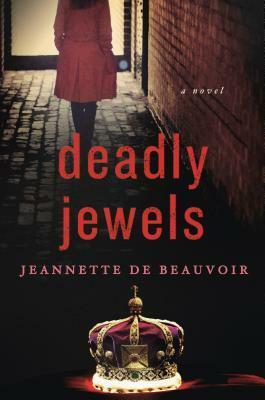 With pressing personal issues crowding into her professional life, Martine needs to solve not only the puzzle of the jewels, but some more recent crimes--including another murder, a kidnapping, and the operation of an ancient cult in Montreal--and do it before the past reaches out to silence her for good. JEANNETTE DE BEAUVOIR is an award-winning novelist and poet whose work has been translated into 12 languages and has appeared in 15 countries. She finds that the past always has some hold on the present, and writes mysteries and historical fiction that reflect that resonance.